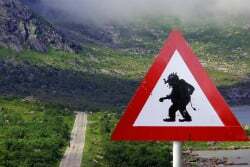 Swedish Internet service provider Bahnhof is launching a direct attack against Spridningskollen, the group that's spearheading the copyright trolling efforts in Sweden. Bahnhof accuses the anti-piracy outfit of trademark infringement and demands the shutdown of its website. In recent years, file-sharers all across the world have been threatened with lawsuits, if they don’t pay a significant settlement fee. The process was pioneered in Germany where it turned into an industry by itself, but copyright holders have also targeted alleged pirates in the UK, United States, Canada and elsewhere. Earlier this year, rightsholders began targeting Sweden, with more details appearing in public last week. One of the organizations leading the way is Spridningskollen (Distribution Check). Using data gathered by German anti-piracy outfit Excipio, they plan to start by targeting around 1,000 alleged pirates, offering them settlements of around $233 (2,000 kronor). Spridningskollen spokesman Gordon Odenbark compared the process with speeding cameras, where torrent users risk a ‘fine’ if they get caught. This will generate revenue, but could also act as a deterrent, preventing other people from violating rightsholders’ rights. Interestingly, however, shortly after Spridningskollen announced its plans the group itself faced allegations of intellectual property rights violations. Swedish ISP Bahnhof is accusing the group of trademark infringement, noting that they have a claim on the “spridningskollen” mark. “Bahnhof was the first to apply for the Spridningskollen trademark rights at the Swedish Patent and Registration Office,” the ISP announced. Earlier this year Bahnhof was the first ISP to warn the public about the looming flood of settlement requests. To help the public understand the severity of the issue the ISP launched the site Spridningskollen.org, which they say maps the “spread of extortion letters” from copyright holders. Now that the anti-piracy group has ‘stolen’ their name, Bahnhof plans to take action over the apparent trademark infringement. “It is surprising that those who claim to defend intellectual property rights don’t track it better themselves. It says a lot about the quality level of their so-called initiative,” Bahnhof CEO Jon Karlung says. The ISP is demanding that the website of the anti-piracy group, Spridningskollen.se, is shut down. “Our lawyers are looking into it. We see the many different ways that interfere with their operation. Extortion letters are unethical, anachronistic and counter-productive,” Karlung says. In addition, Bahnhof is calling on the Government to reform copyright law in order to prevent excessive and overbroad enforcement tactics. Until then, the ISP vows to protect its subscribers from the copyright trolling practice as best as they can. This means that if copyright holders demand IP-address info and user details from Bahnhof, they will fight this in court.